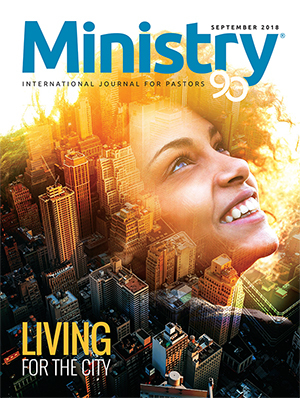 Editor’s note: E. Douglas (Doug)Venn, MDiv, serves as director of Global Mission’s Urban Center at the General Conference of Seventh-day Adventists, Silver Spring, Maryland, United States. 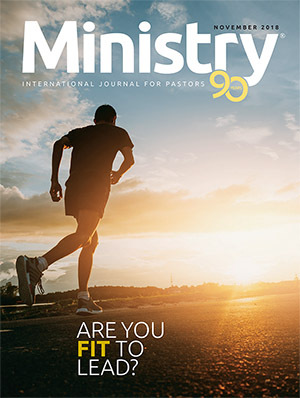 Jeffrey Brown (JB): Christians in many places, including Seventh-day Adventists, are coming together now to hear what the Spirit is saying to the church regarding ministry in our cities.1 Year after year I have heard, “We are not reaching the cities.” Sure, we can all do better, but do you have quantitative criteria that can tell us if we are moving forward with the goal or slipping backwards? E. Douglas Venn (DV): Yes, we do.Because more than half of the world’s population now lives in cities, the Seventh-day Adventist Church must do its part in responding to the mandates of Matthew 28:19, 20 and Revelation 14:6, 7. So, we have seven key performance indicators: (1) a twenty percent increase over five years in total audited membership in urban areas of one mil-lion people or more; (2) at least one center of influence for every 250,000 people in each urban area of one million people or more;2 (3) improved ratio of membership to population in all urban areas of one million people or more; (4) improved ratio of worshiping groups to population in all urban areas of one million people or more; (5) institutions actively assisting with mission initiatives in urban areas of one million people or more; (6) interdivisional sponsorship and support functioning for ministry in one hundred of the most unentered urban areas of one million people or more; and (7) regular reports being made at General Conference, division, and union mid-year and year-end meetings on progress in reaching our objectives. JB: Are there criteria, other than the amount of church members, that are, for you, significant markers when it comes to reaching the cities? DV: Yes. Jesus said, “Go into all the world and make disciples of all people groups.” We are asking, What marginalized people groups do you see that we need to do a better job in reaching? How well are we reaching out to (1) thought leaders, (2) public campus students, (3) housing complex residents, (4) professionals, and (5) special needs persons?3 Revelation 10:11 compels us to go to country leaders as well as those in business, education, and media. We must ask, Who in my neighborhood is that leader that I must reach out to? And remember, today’s universities house tomorrow’s thought leaders. JB: My Church and Urban Ministry class textbook was by George Webber, president of New York Theological Seminary. He says, “Our job is to discover those who have been forgotten and do what we can to be a sign of love and hope. Our signs will not be for the sake of get-ting new members or winning converts. Simply, we live in the style of our Lord, where there is hunger, seeking to feed, where there is sickness, seeking to heal, where there is loneliness, offering our love without any ulterior motive.”4 Do we have a no-strings-attached approach to urban ministry? 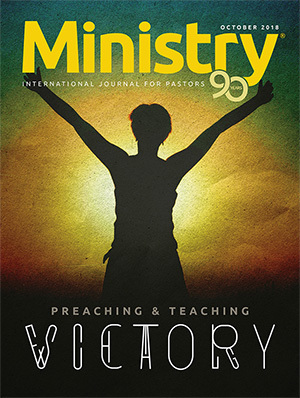 DV: The outreach programs “Gauteng for Christ” in Johannesburg and Pretoria, and Metro Manila in the Philippines, are two initiatives which have gathered together Christian professionals such as engineers, doctors, and lawyers, to minister to their fellow professionals. If persons joined our church, glory to God, but their goal was to heighten awareness of the challenges and stresses felt in these leadership positions. In Johannesburg, the question was asked, “How can you care for your peers?” In Bangkok, we asked businesses, “What are your needs? How can we offer a practical service for your employees?” In British Columbia, Canada, a local church offers auto repairs and vehicle donations to at-risk single mothers. No strings attached. 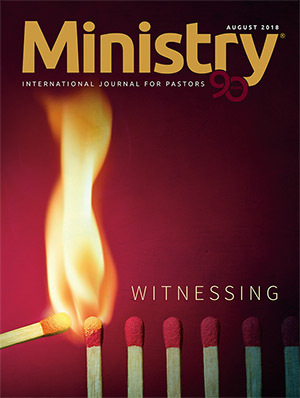 JB: My seminary urban ministry professor, Dr. Ivan Warden, spearheaded the compilation Ministry to the Cities.5 Was there a discrepancy in our obligation to urban as opposed to rural communities? Does it still exist? DV: Over the years, the Adventist Church has faced the trap of binary thinking— either go into the city or not—Jesus served in the city and the outskirts. See for example Matthew 9:35–37. We are recognizing now that there is a place for both.6 Our projects aim to provide physical and spiritual healing to all communities, laying the groundwork to plant new churches. 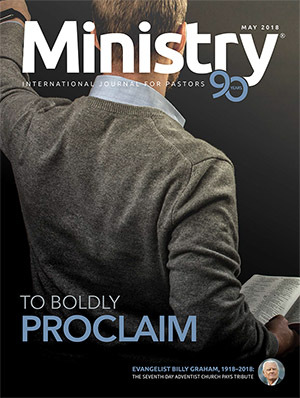 Last year Global Mission helped fund 80 new churches in major cities in Argentina, Congo, Indonesia, Kenya, Nigeria, Russia, and in a number of closed countries. JB: We know that the cities of the world are populated by people of color. 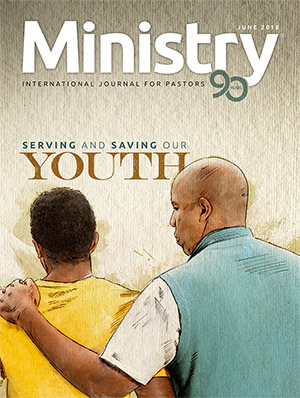 We are also aware, as John Cassidy states, that “Blacks and Hispanics should no longer be labeled ‘minorities’, but ‘part of the world’s majorities.’”7 Does the church acknowledge that tremendous ministry to the city has been taking place by these groups long before slogans and funding may have made it fashionable? JB: So the ratio of Christians in general,and Adventists in particular, to the general population is one of the criteria, perhaps the major criteria, of measurement regarding reaching the cities. Which geographic areas are weak? DV: North Africa, Europe, and parts of Asia.9 So Global Mission helped finance fifteen urban centers of influence last year. These include a refugee training center in Houston, Texas, United States; a school with an emphasis on special needs students in Toulouse, France; a community center offering refugee integration programs to youth and young families in Hanover, Germany; a health center offering psychological counseling, family therapy, and fitness and lifestyle training in Tallinn, Estonia; a health center with counseling services, mental health seminars, a Christian bookstore, and a health food store in Miskolc, Hungary; a health center with a dental clinic in Bishkek, Kyrgyzstan; a community education center with healthy cooking classes, language classes, clothing charity services, and job training in Yekaterinburg, Russia; a vegan café in Maine, United States; and clinics, youth community centers, and preschools in several closed countries. JB: I see that our institutions are strengthening their urban ministry.10 Are there cities in the world where urban outreach has been particularly successful? DV: The church has made great inroads in Latin America, sub-Saharan Africa, and many of the islands of the sea. Lusaka, Zambia, and São Paulo, Brazil, are particularly strong. In São Paulo, the church is contextualized for every neighborhood. 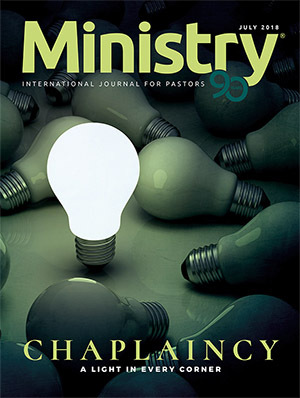 There is a vast array of church ministries to serve the diverse people groups. Of the two thousand, one hundred twenty-nine neighborhoods, thirty-eight percent of them have a church, school, day care center, exercise facility, or some other ministry. Yet even there, the majority of these neighborhoods have little Christian presence—and certainly no Seventh-day Adventist church. JB: In the past, mission enterprise was one-way traffic, from the west to the rest of the world. Today we know that the theme of missions is from everywhere to everywhere. Do “the strong” have anything to teach “the weak”? And are the weak willing to learn from the strong? DV: The day of mission has changed. We must now think globally. The internet has taught us that we can all learn from each other. 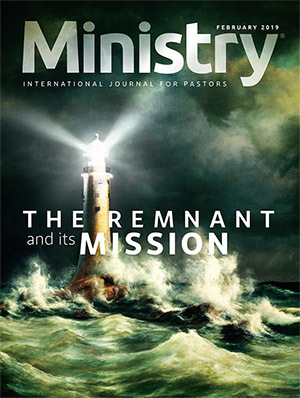 The developing countries are now sending missionaries to the west. Sometimes they come as formal missionaries. Sometimes they come disguised as students, health care workers, and businesspersons. Other times they come as immigrants and refugees. We who were once the teachers must be humble enough now to be taught. JB: You’ve heard Dr. Cliff Jones’s story, Doug. “How vividly do I recall an encounter I had with a mayor of Benton Harbor, a small city that lies a few miles north of Andrews University in Berrien Springs, Michigan. On being introduced to the mayor at a community event, I was asked where I lived. When I responded that I lived in Berrien Springs, a farm community dominated by people associated with Andrews University, the mayor, visibly agitated, informed me that the residents of her city did not appreciate folk from outside the city walls descending on them armed with all the answers to their plight and problems. What her city need and would be appreciative of, she stated, were people courageous, committed, and caring enough to live in the city.”11 I get the relevancy argument but isn’t it, as some say, too dangerous to live in the cities? DV: We must be, as Kleber Gonçalves puts it, “incarnationally present” in our cities.12 This requires us to include cities in our perspective of the mission field. Just as we have believers who travel to live in faraway lands, so believers can travel to live in cities nearby. The same God who protected the missionary in her country will protect the believer in his city. JB: As you look at the urban landscape and its bourgeoning challenge, Doug— how hopeful are you? DV: We cannot grow weary in well-doing. God will finish His work—and it is our privilege to be a part of it. God has a multitude of people that will be saved, a multitude that no person can number, from every nation, kindred, tongue, and people and, God willing, every city. God will get His message out, one way or another—by any means necessary. 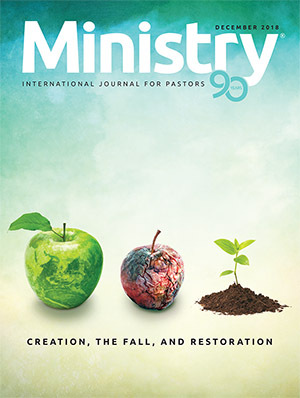 1 Urban Mission and Ministry Congress (Andrews University, Berrien Springs, Michigan, United States), September 6–8, 2018; National Urban Missions Conference (Best Western Plus Hotel, Philadelphia), October 15–17, 2018; The Gospel and Our Cities (The Moody Church, Chicago, Illinois, United States), October 18–20, 2018. 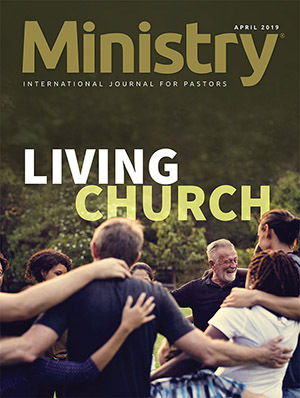 See also christianitytoday.com/edstetzer/2018/june/stewarding-gospel-movement-in-chicago.html. 2 Urban centers of influence, or life hope centers, adapt themselves to the needs of the community, (e.g., health food store, vegetarian restaurant, community center, gymnasium, or mobile dental clinic). 3 G. Uba, “The ‘Rise and Walk Family’ in Romania,” Seventh-day Adventist Church Inter-European Division News, November 4, 2015, news.eud.adventist.org/en/all-news/news/go/2015-11-04/the-rise-and-walk-family-in-romania/. 4 George W. Webber, Today’s Church: A Community of Exiles & Pilgrims (Nashville, TN: Abingdon, 1979), 94. 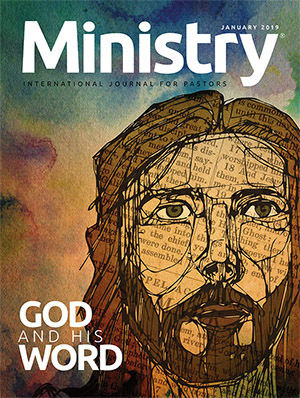 5 A PDF of Ellen G. White, Ministry to the Cities, is available at egwwritings-a.akamaihd.net/pdf/en _MTC.pdf. 6 See Jeffrey McAuliffe and Robert McAuliffe, The Ephesus Model: A Biblical Framework for Urban Mission (Silver Spring, MD: General Conference Global Mission Urban Center, 2017). 7 John Cassidy, “History Turns Its Back on America’s Heroes,” The Sunday Times (London), July 28, 1991, 15. 8 E. E. Cleveland, Let the Church Roll On: An Autobiography (Nampa, ID: Pacific Press Pub. Assn., 2014), 49–54. 9 Richard McEdward and David J. B. Trim, “Reaching the World’s 500 Largest Cities: A Demographic and Statistical Analysis.” Journal of Adventist Mission Studies 10, no. 2 (2014): 1–20. 10 Oakwood University www2.oakwood.edu /oakwood-university-expands-degree-programs, Washington Adventist University www. reachcolumbiaunion.org/about/ and Andrews University www.andrews.edu/sem/DMin /concentrations/urban_ministry/. 11 R. Clifford Jones (president of Lake Region Conference of Seventh-day Adventists and immediate past associate dean of the Seventh-day Adventist Theological Seminary, Andrews University). “Urbanization and Christianity: Reaching the Urban Community for Christ,” in Maier, Rudi (Ed. ), Church and Society: Missiological Challenges for the Seventh-day Adventist Church (Berrien Springs, MI: Andrews University Press, 2015), 197. 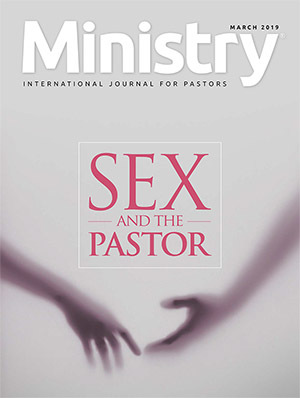 12 Kleber Gonçalves, “Missional Models of a Church for Postmoderns in Urban Contexts,“ Journal of Adventist Mission Studies 10, no. 2 (2014), 87.